In September 2015 a small party assembled in Mansion House, London, for a private tour of the institution's world- renowned collection of Dutch and Flemish paintings. Among the group was a sprightly 94-year-old Dutch woman, Charlotte Bischoff van Heemskerck, along with members of her family and Anne Webber, the co-chairman of the Commission for Looted Art in Europe, the organisation responsible for locating and retrieving works of art stolen by the Nazis during the Second World War. There was one work in particular, of deeply personal significance, that Bischoff van Heemskerck - known to her family and friends as Hetty - had come to see: a 17th-century painting called The Oyster Meal by the Dutch master Jacob Ochtervelt. 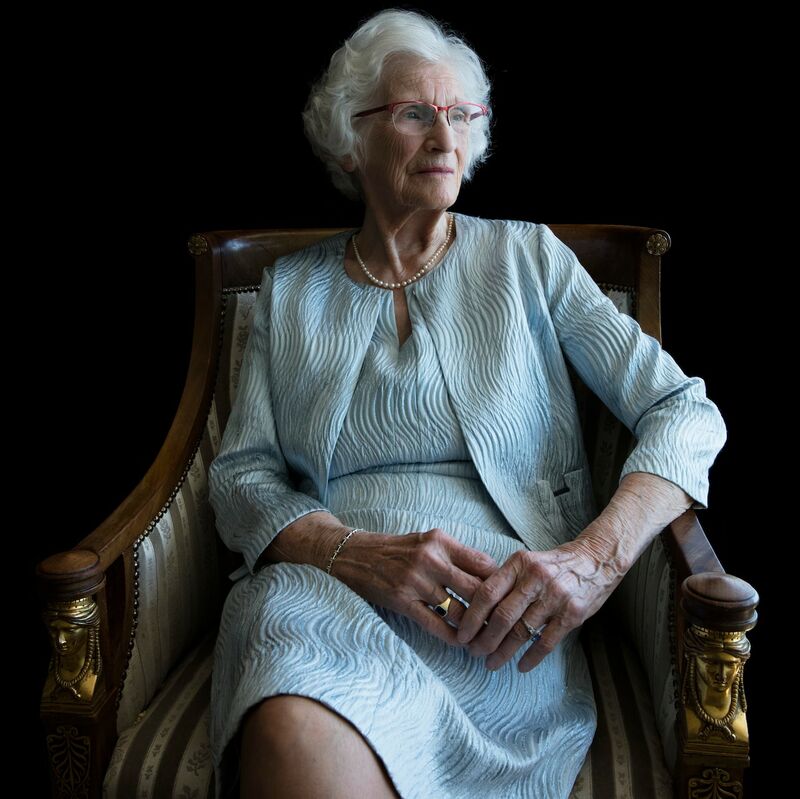 It was almost 75 years since Hetty, the daughter of an eminent doctor and art collector named Joan Hendrik Smidt van Gelder, had last seen the painting hanging on the wall of her father's waiting room in the family home in the Dutch town of Arnhem. In 1942, in the wake of the invasion of Holland by the Germans in May 1940, the painting had been removed to a bank vault for safekeeping, where it had remained until 1945 when it was plundered by the Nazis. In the years since, following the confused progress common to so much looted art, it had passed through various hands, finally to end up in the possession of the City of London Corporation, wholly ignorant of the painting's chequered history - and of the fact that the elderly woman staring keenly at the painting was its rightful owner. The Nazi war machine that devoured Europe not only brought terror, suffering and mass extermination; it was also responsible for probably the largest act of collective larcency in human history. It is estimated that in the years between 1933 and 1945 the Nazis confiscated and plundered more than 600,000 paintings, drawings, manuscripts and other works from museums, churches and private collections across Europe. Add to that the silver, fine furnishings, ceramics, stained glass and other precious objects and artefacts, and the total likely runs into millions. The plunder of art was systematic and highly organised. Hitler, a failed painter, craved classical paintings and Renaissance masterpieces - 'European works of the highest historical and artistic value', according to the Nazi inventory - for his planned 'Führermuseum' in Linz, which he dreamt would be the cultural pinnacle of the perceived glories of the Reich. His deputy Hermann Goering was also an avid collector. In France, the centre of the art world at the outbreak of war, the Nazis deployed a team of confiscators under Goering's personal command, to loot and sort stolen art, with the authority to commandeer trucks, trains and even Luftwaffe planes to transport the booty to Germany. But in every country in Europe, artworks from private collections and museums were added to the Nazis' hoard of stolen goods. Hitler had a pathological loathing for work that he considered 'degenerate': modern, expressionist and abstract art, or anything synonymous with Jewish painters or subjects. Seized paintings by artists such as Chagall, Picasso, Matisse, Miró and Van Gogh were exchanged on the art market for 'acceptable' works, or sold for cash to fund the Nazi regime. It is believed that some 100,000 paintings stolen by the Nazis during the war are still missing. But the truth is, nobody knows the exact number. It used to be said that if a missing work could not be located, it was probably in the Soviet Union; large numbers of paintings presumed to have been 'recovered' by the Soviets as they advanced towards Berlin have never surfaced. But across Europe, in America, and wherever art is bought or sold, an untold number of stolen works are even now hanging on the walls of private collectors' houses, or unnoticed in museums and galleries. To have found The Oyster Meal hanging in plain sight on the wall of the official residence of the Lord Mayor of London amounted to something like a miracle. 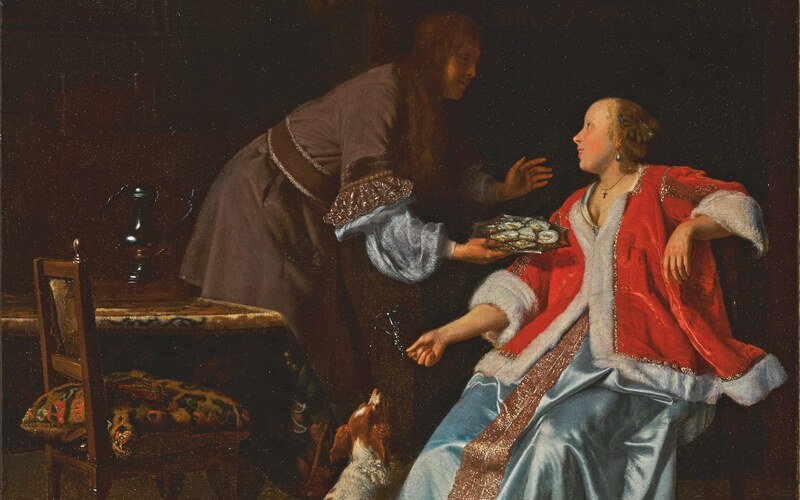 The Oyster Meal, which was painted by Jacob Ochtervelt around 1664-5, shows a roué, bent on seduction, offering a young woman a plate of oysters. The subject was a popular one among Dutch genre painters of the time, including Jan Steen, Gabriel Metsu and, most notably, Frans van Mieris the Elder. The Oyster Meal is an outstanding example of the genre, particularly notable for the painter's exquisite rendering of the lady's silk and ermine costume, and its symbolism. The empty birdcage signifies that love, as well as oysters, is on the menu; the lady is spilling wine towards the eager dog (a symbol of loyalty), presumably to sedate it; the intriguing fact that she is wearing a crucifix - a possible allusion to a popular belief of the time that courtesans were often Catholics because they alone could claim absolution for their sins. In 1936, the painting was acquired by Dr Joan Hendrik Smidt van Gelder, who ran a hospital for disadvantaged children in Arnhem. Smidt van Gelder hung the painting on the wall of his waiting room at home, where he would frequently see patients. His daughter Hetty, one of six children, was 15 at the time. 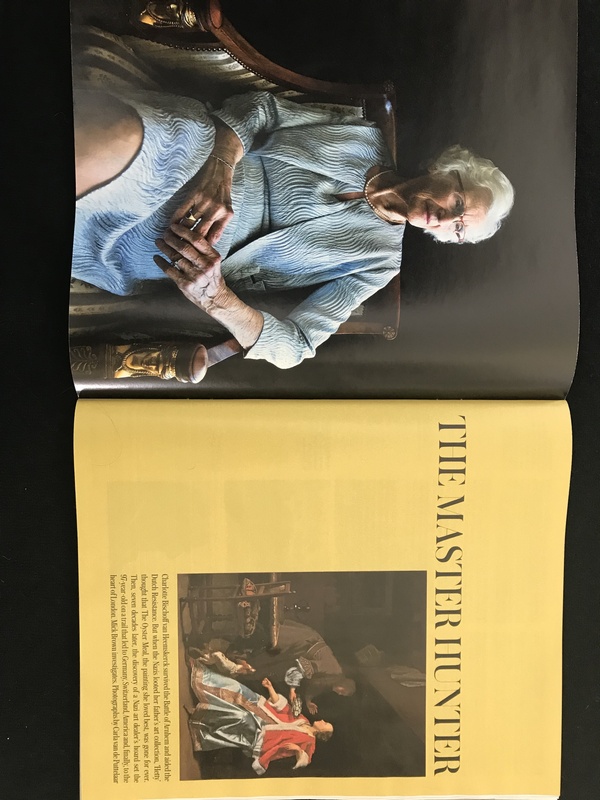 At 97, Hetty Bischoff van Heemskerck remains a woman of formidable energy and acuity, able to recollect with crystalline precision her childhood, the war and the years that followed. Fearing the worst, Dr Smidt van Gelder had put his finest artworks in safe storage in Amsterdam. But after a year of occupation he felt confident enough to bring them home. The Germans were adopting a policy of relative conciliation. An officer was billeted in the Smidt van Gelder home. 'He was very polite.' But in 1942, increasingly concerned about the need to safeguard his property, Dr Smidt van Gelder deposited 14 paintings, The Oyster Meal among them, in a vault in the town's Amsterdamsche Bank. In 1943 he felt compelled to abandon his work at the hospital. Doctors were being forced to sign an oath agreeing to accept orders from the Nazis, and Dr Smidt van Gelder refused to sign. Her father went into hiding, and would spend the next two years in a series of safe houses around the country. The family home was commandeered by the Nazis, and Hetty, her mother and sister were forced to move to a smaller house in the north of the town, storing most of their belongings in a lodge near the bridge at Arnhem. 'We couldn't,' she says, 'have chosen a worse place.' Everything would be destroyed in the battle to come. On 17 September 1944 the Allied forces launched Operation Market Garden, part of which included an attempt by the British 1st Airborne Division to seize the strategically important road bridge over the Rhine at Arnhem (immortalised in the 1977 film A Bridge Too Far). On the evening before, Hetty was out walking, when she saw German tanks. 'I said, oh my God... I am sure they knew already what was coming. 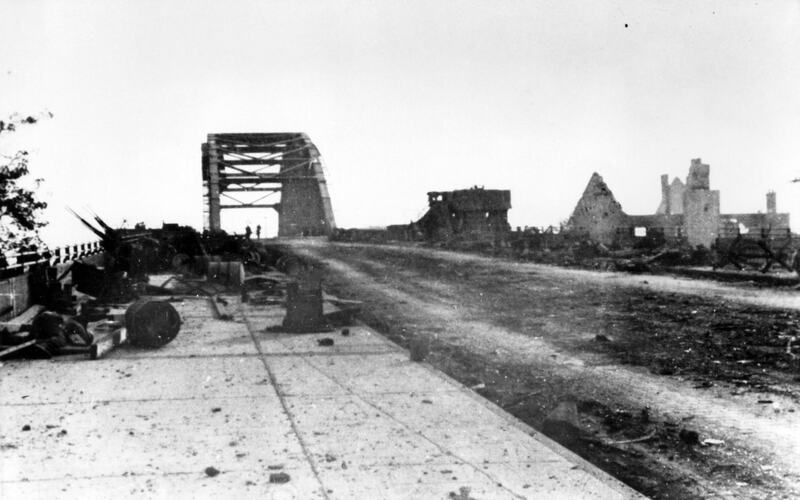 Following the paratroop assault, a small force of British soldiers had managed to capture the northern end of the bridge, but after four days they were overrun by German troops, and after nine days of fighting the Allies were forced to withdraw with heavy casualties. The operation had failed. In the course of the battle, the Germans ordered the residents of Arnhem to evacuate the city and they were forbidden to return without a permit. 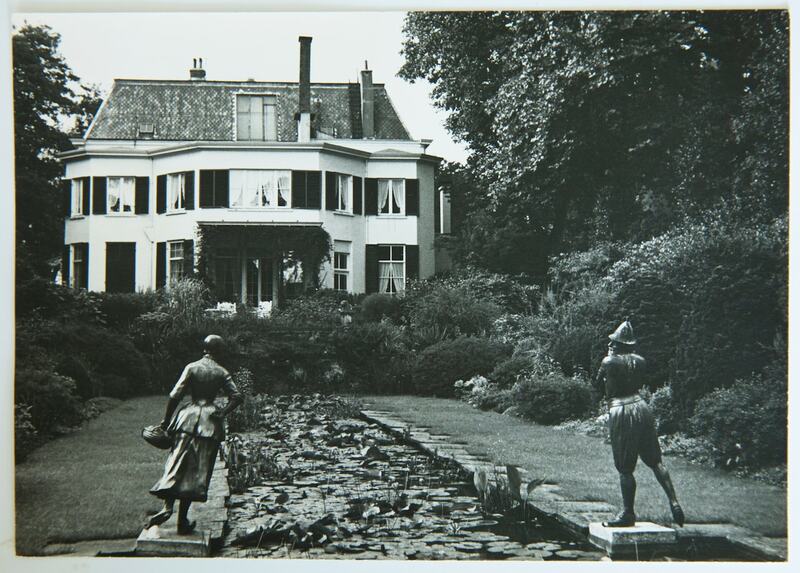 Hetty, her mother and sister took sanctuary in a manor house to the north of Arnhem, the home of an aristocrat named Jaap Baron van Heeckeren van Molecaten, who was a leading figure in the Dutch Resistance. A number of members of the Resistance, including Hetty's fiancé, Willem Bischoff van Heemskerck, were already in hiding in the house. One night, a British officer was brought to the house - the commander of the British 1st Paras, Brigadier Gerald Lathbury. He had been badly wounded during the fighting at Arnhem, left in the care of a local family, and then taken to a local hospital where he became a prisoner of war. Disguising his rank, he escaped by simply walking out of the hospital's front door. In January, the Germans had divided the deserted city of Arnhem into four Gaue, or districts, each one 'twinned' with an area of Germany that had suffered Allied bombing. The head of each Gau was instructed to plunder the area assigned to them and send the spoils to the corresponding area in Germany, as compensation for the havoc wreaked by the Allied bombing. The commander of the Gau where the Amsterdamsche Bank was located - and where the Smidt van Gelder paintings were stored - was Helmut Temmler, a former Hitler Youth leader and head of Gaukommando, Düsseldorf. District commanders were specifically forbidden to plunder from banks or take 'valuable pictures and other items of value'. 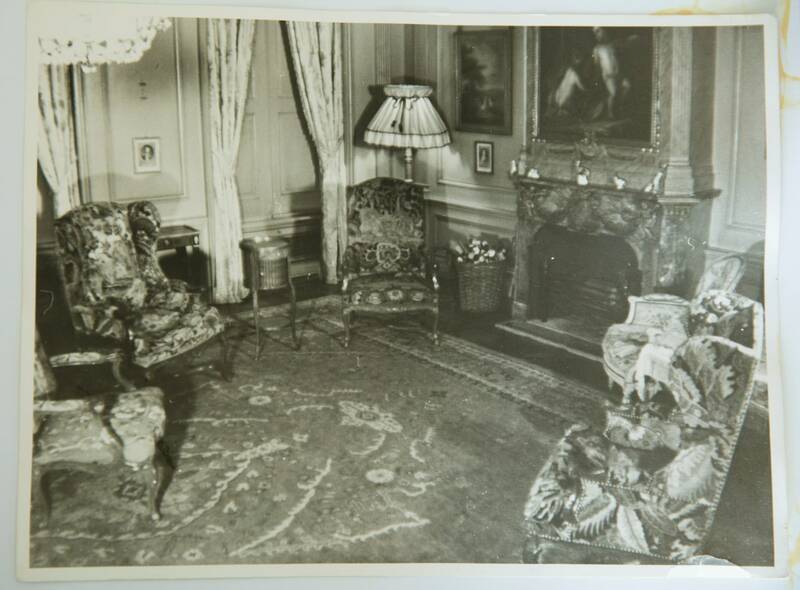 But in defiance of orders, between 17 January and 8 February 1945 Temmler and four accomplices broke open and emptied the vaults of the Amsterdamsche Bank and three other banks in Arnhem, stealing at least 34 works of art, as well as large sums of money, precious metals and jewellery. The looting came to the attention of the highest echelons of the Nazi command. On 25 February, as the Reich was crumbling in the face of the Allied advance towards Germany, Heinrich Himmler, the head of the SS and the man in ultimate charge of Nazi troops in the Upper Rhine, wrote to Martin Bormann, the head of the Nazi Party Chancellery in Berlin, describing the bank robberies as 'shameless'. Writing that 'unless immediate action is taken, the prestige of the Party will suffer to an unprecedented extent', Himmler ordered an investigation in Düsseldorf to establish exactly what Temmler and his men had seized. This revealed that, towards the end of February 1945, some 20 lorries under Temmler's command had been deployed to transport the plunder into Germany. The greater part of the contents of the trucks was traced to Hilden, a city near Düsseldorf. 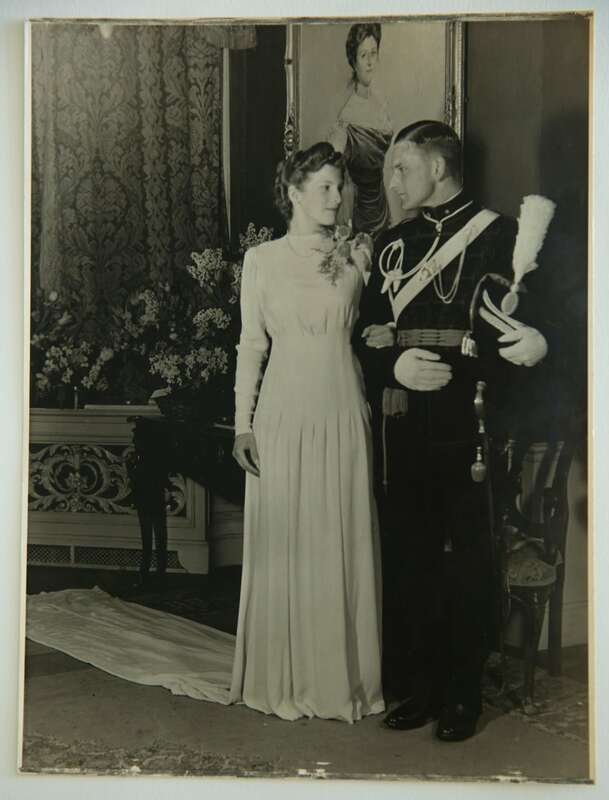 In March, the chief investigator, an SS officer named Oskar Wenzky, reported that 'at least' 60 paintings and prints, probably including 'some very valuable ones', had been found. Wenzky ordered that these were to be placed under police protection. One can safely assume that The Oyster Meal was among them. Following an intervention by Temmler's immediate superior, Düsseldorf Gauleiter Friedrich Karl Florian, who answered only to Hitler, the investigation was dropped. The Interior Ministry concluded that Temmler had 'acted in good faith', and he escaped reprimand. A few weeks later, in May 1945, Germany surrendered. The Oyster Meal had apparently vanished into thin air. 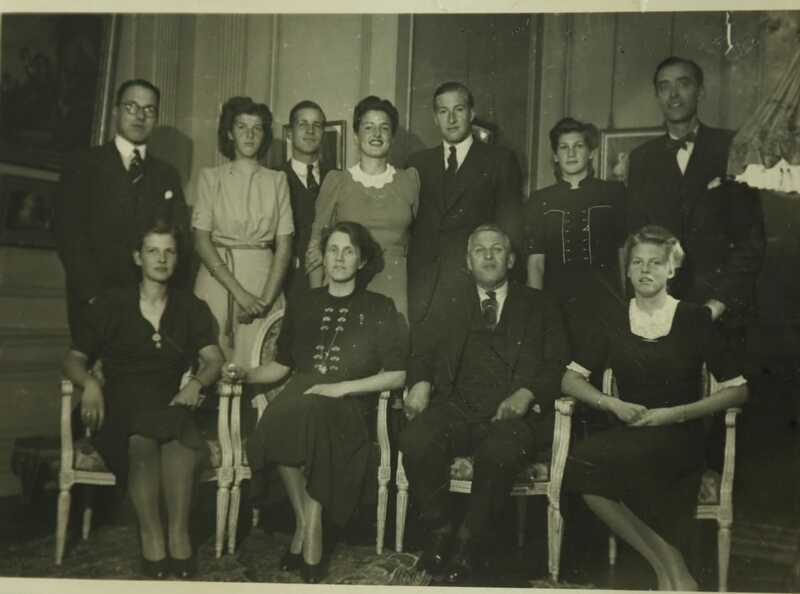 Dr Smidt van Gelder and his family returned to Arnhem. He registered his stolen art with the authorities, and went about rebuilding his hospital and his life with his family. In the years after the war, the Dutch government established a restitution body for stolen art, which between 1945 and 1949 was able to locate and recover five of the 14 van Gelder paintings looted from the bank vault, all in the vicinity of Düsseldorf, where Helmut Temmler had been based. One of them, Portrait of Mrs Jordan by the 18th-century English portrait painter Sir Thomas Lawrence, was found hanging on the wall of the bierkeller in Düsseldorf's Park Hotel, where it was recognised by one of Dr Smidt van Gelder's former patients. The Park Hotel had been a favourite meeting place for senior Nazi officers and functionaries, among them Helmut Temmler and Gauleiter Friedrich Florian. Florian was said to be a man who was particularly 'appreciative of art' - presumably no matter where it came from. But the whereabouts of nine more works, The Oyster Meal among them, remained unknown. Dr Smidt van Gelder died in 1969. As time passed his children abandoned any hope of recovering the painting - all, that is, but Hetty. Some 20 years ago, at an exhibition of Dutch old master paintings in Zeist, she noticed another work by Jacob Ochtervelt, which inspired her to start looking for the painting whenever she visited museums or galleries. Then in 2012, in the course of investigating tax irregularities, Swiss authorities seized some 1,500 works, including pieces by Otto Dix, Picasso and Toulouse-Lautrec, from the homes of a collector named Cornelius Gurlitt. He had inherited the paintings from his father, Hildebrand, one of the most important art dealers in the Third Reich, who trafficked in confiscated works. When news of the Gurlitt seizure surfaced a year later, Hetty pored over an inventory of the paintings on the internet in the hope that The Oyster Meal might have been one of the recovered works. It wasn't - but the seizure encouraged her to keep searching further afield. On a visit to America to see one of her daughters, her youngest grandson Rudolf offered to help - eventually locating, following an extensive internet search, a painting that matched Hetty's description of The Oyster Meal in the City of London collection. But was it the painting that had once hung in the waiting room of Dr Smit van Gelder? By chance, a friend of the family was familiar with the Commision for Looted Art in Europe (CLAE). Since its founding in 1999, the CLAE has been instrumental in achieving the restitution of more than 3,500 objects - paintings, drawings, silver, books and manuscripts - stolen by the Nazis. In order to make a claim on The Oyster Meal, it was necessary for the CLAE not only to authenticate the painting and establish its provenance, but also to establish the right of Dr Smit van Gelder's heirs - all 20 of them - to the work. So began some extensive detective work by Webber and her team of researchers. The report that Dr Smidt van Gelder had filed to the Dutch authorities in 1945 had included a detailed description of the painting. Now Hetty had confirmed that it was the same Ochtervelt that had hung in her father's waiting room. But it was necessary, by working backwards, to establish beyond doubt the painting's provenance, and the family's claim to ownership. The Oyster Meal had come to Mansion House as part of the collection of the property developer and entrepreneur Harold Samuel. Lord Samuel of Wych Cross was the owner of probably the finest collection of Dutch art in Britain, which he bequeathed to the City of London on his death in 1987. Samuel had bought the painting in 1971 from a London dealer, Edward Speelman, who had acquired it four years earlier from an American investment banker and diplomat, J William Middendorf, who at one time served as the US ambassador to the Netherlands. Middendorf, in turn, had bought the painting in 1965 from a Swiss gallery, Galerie Kurt Meissner in Zurich. But there the trail went cold. There was no immediate indication of how The Oyster Meal had come into the hands of Galerie Meissner. But then the CLAE had a breakthrough. It was discovered that Galerie Meissner had sold the painting to Middendorf with a written authentication provided by a German art historian named Walther Bernt, who had described the Ochtervelt as an 'impeccable' work by the artist, and provided a detailed, if truncated, provenance, tracing it from the collection of one Comte de Morny in Paris in 1874, to its acquisition in 1927 by an Amsterdam dealer. After the war, Bernt had presented himself to the Allies offering to help identify art that had been looted by the Nazis and that had been retrieved. 'What he didn't mention,' Anne Webber says, 'was that under the name Walther Berndt he had helped the Gestapo in Prague, advising them on the value of collections that had been seized by the Germans, and that he was familiar with those because before the war he had advised the Jewish owners on what to buy.' In Bernt's archives, held by Harvard University, researchers found a photograph of The Oyster Meal. Written on the back was a reference to Gallery Peiffer, in Düsseldorf. Gallery Peiffer was a small establishment that made frames and sold some paintings on the side - but certainly not Dutch old masters. Its owners in the post-war period were two brothers, who had long since died, and the present owners had no records from that time. But the CLAE was able to find a man who as a teenager had worked in the gallery as an apprentice framer, and subsequently inherited the business. Incredibly, he could remember how in 1956 two old master paintings had arrived in the gallery, one of them The Oyster Meal, and was able to identify the painting from photographs. Like Hetty, he remarked that it was 'the same picture, but not the same frame'. He remembered that the owners of the gallery had consulted Walther Bernt, and it was Bernt, no doubt knowing that the painting was looted property, who had arranged the transaction with Galerie Meissner in Zurich. What the picture framer was unable to say was where the two paintings had come from. The missing years in the history of The Oyster Meal, between 1945 and 1956, will probably never be explained. In April 2017, the CLAE informed the City of London Corporation of the painting's history, and formally submitted a claim for it, running to several hundred pages, on behalf of the heirs to the Smit van Gelder estate. Restitution can be a protracted and agonising process, often taking years to accomplish, if at all. Private collectors and institutions are often reluctant to acknowledge that works in their possession have been looted, and that claims on them are legitimate. Under English law, there was no obligation for the City of London to return The Oyster Meal, yet it took only three months for the Corporation to agree to the claim, stating that having consulted all the evidence submitted by the CLAE there was a 'compelling moral case' for restitution, and it was gladly returning the painting to its rightful owner. 'The way they dealt with it was absolutely exemplary,' Anne Webber says. 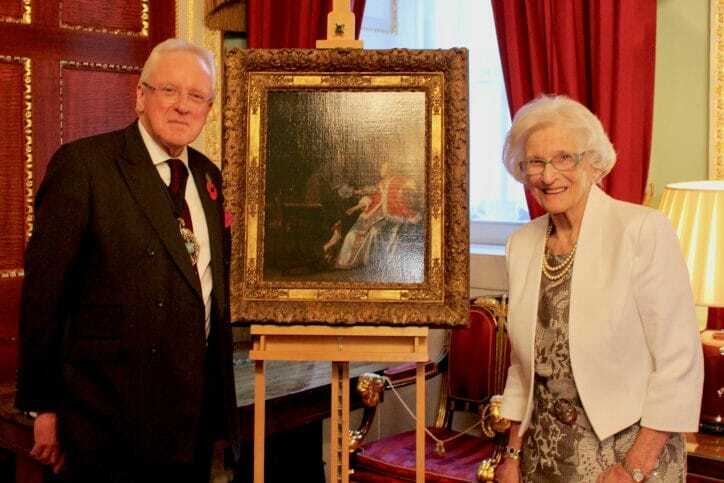 In November last year a ceremony was held at Mansion House, presided over by the Lord Mayor of London, Sir Andrew Parmley, to formally return the painting to Hetty and her family. It is due to be auctioned at Sotheby's on 4 July 2018. The estimate is £1.5-£2.5 million, and the money will be divided between the 20 heirs. PDF available here. Opening images available here.